So, my new catalogue goodies arrived yesterday! Just like Christmas!! 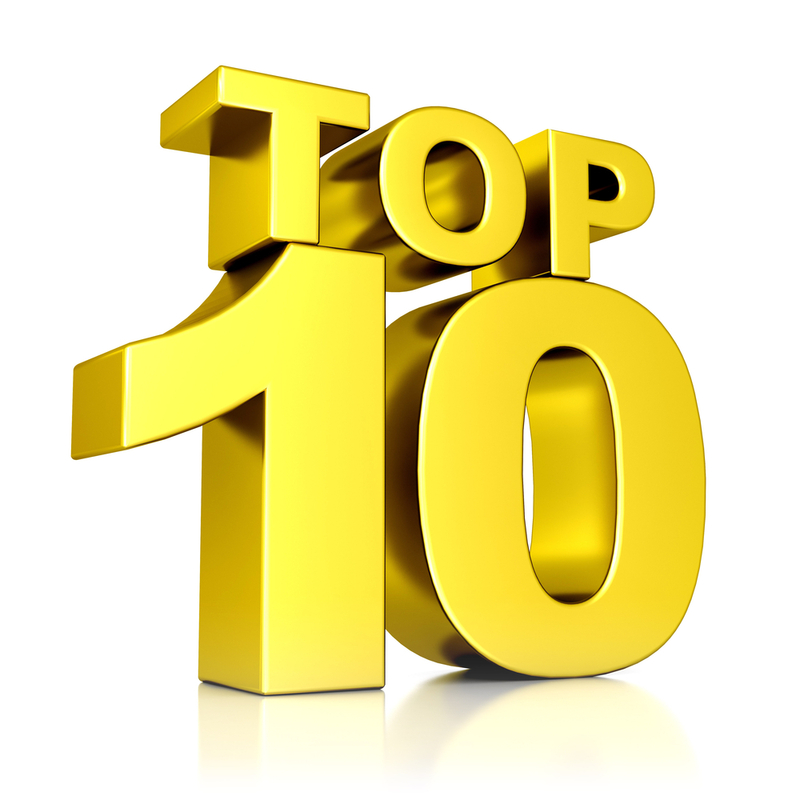 And today, I promised that I would share with you my Top Ten Products from the new 2016-17 Annual Catalogue. I sometimes hesitate to do this, because taste can be so subjective, but I'll go ahead with it my making the disclaimer that I have made this guide based on my own taste and style, with an eye to versatility. So, if you generally find yourself liking my style, it will be a good guide for you. If not, there are many Stampin' Up! bloggers that do this same type of rating, so find one that normally mirrors your own taste and style, and see what they have chosen. It came down to a toss up between this and Flourishing Phrases, but versatility won the day! This adorable set has 3 different Mason Jar sets and a whole variety of things to put in them, with great sentiments, including my favourite: "Throw kindness around like confetti"! It has a firefly, even a goldfish and you can build a bouquet in there as well, with framelits to die cut everything! Awesome set! I love it! 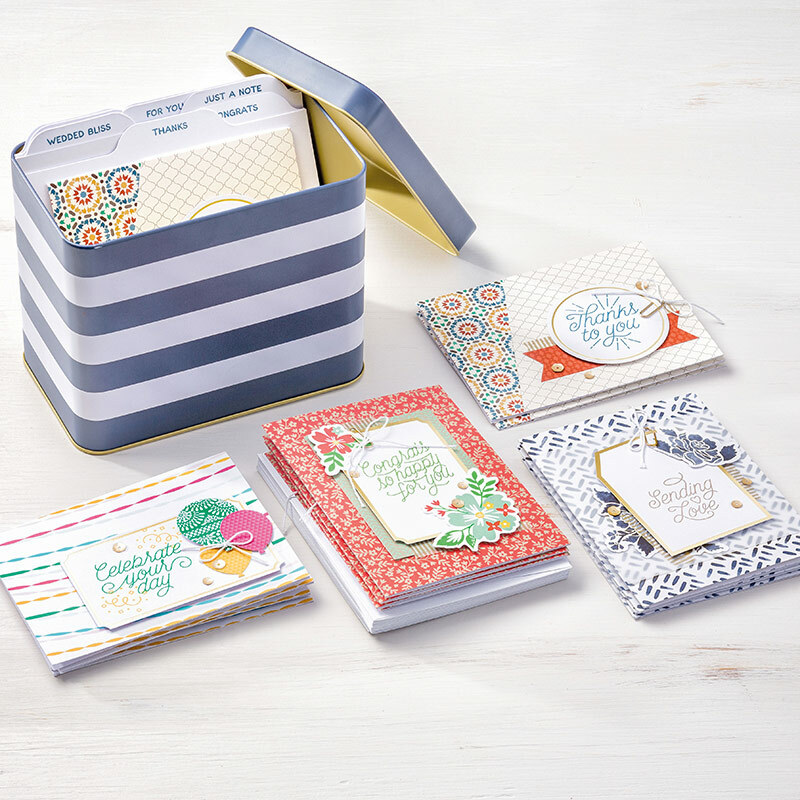 Don't forget that you can save 10% by buying the stamp set and the framelits together instead of separately. How cute is this little fox? And so super that you can build it with a punch! But don't stop with the fox! 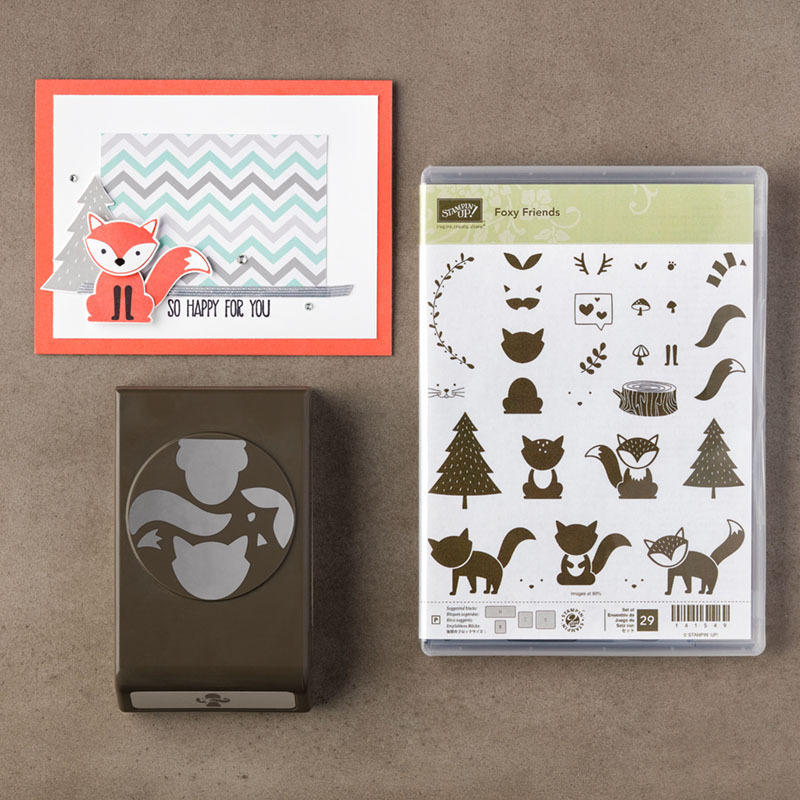 You can make so many different adorable critters with this set: raccoons, deer, cats, skunks..your imagination is the limit! And you can even stamp mushrooms! Perfect! There are two all inclusive kits in the new catalogue. All inclusive means you have everything you need to complete the kit except for adhesive. 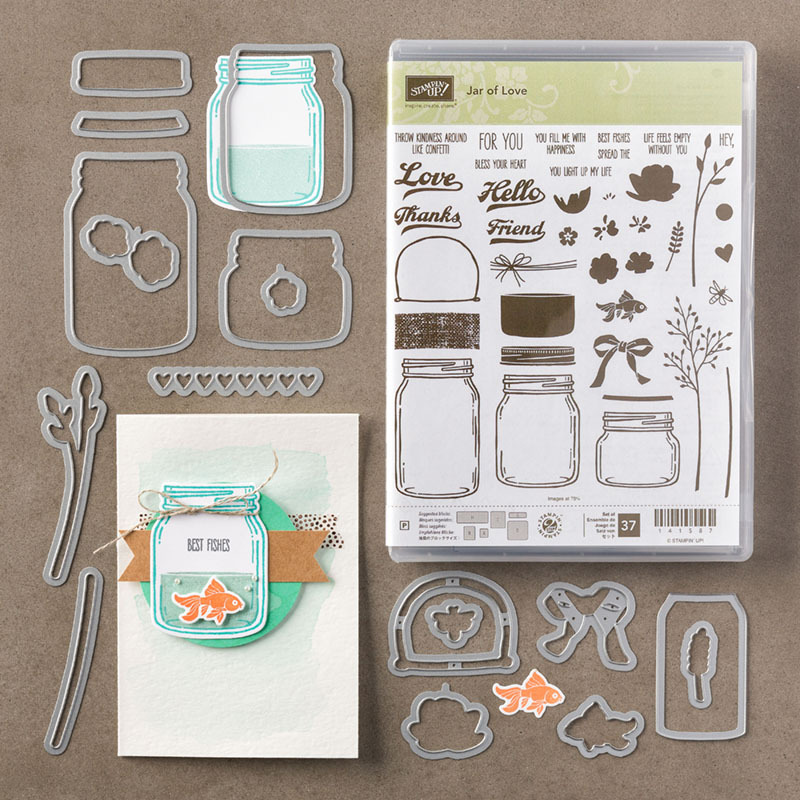 It includes a stamp set and ink, and an acrylic block to mount your stamps on. 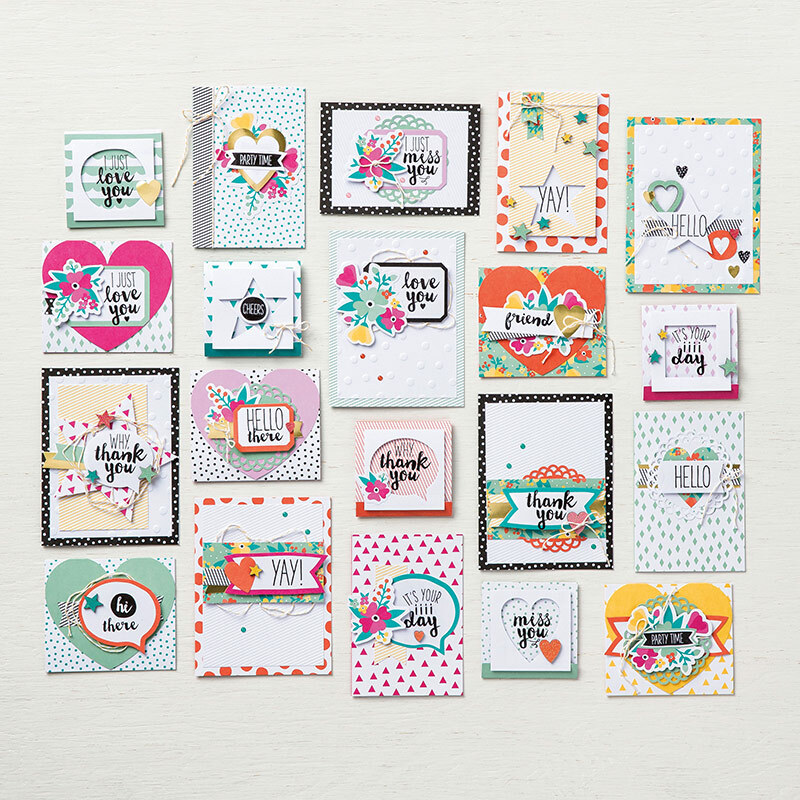 While both of the kits are beautiful, I chose the Oh Happy Day Kit because it was so bright and cheerful with interesting embellishments and die cuts. The Watercolour Wishes kit is probably a little more versatile, but I felt the variety and cheerful look outweighed versatility in this case. For sheer classiness, you can't beat this project kit, and I fell in love with it's cousin last catalogue. Who can resist that striped tin? 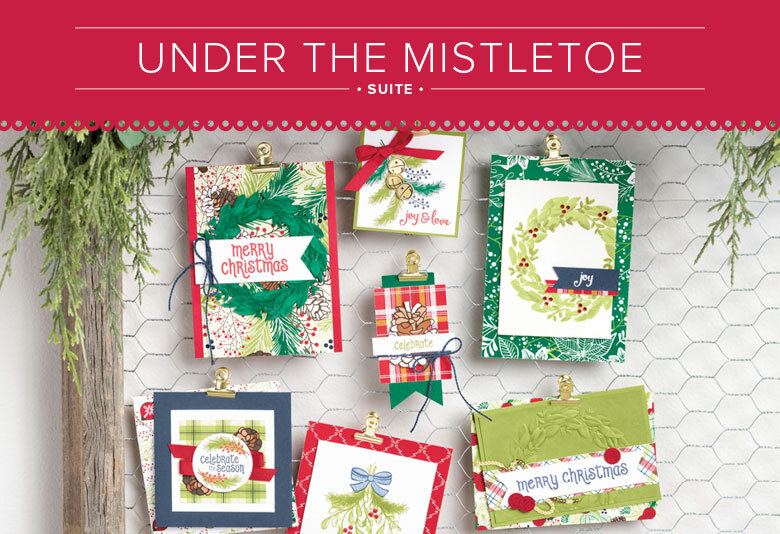 These cards are very elegant and it looks like they coordinate with the Floral Boutique Suite of products as well as the Moroccan Suite of products. I'm in love. That is all! This stamp set caught my eye from Day 1! I love how realistic that teddy bear looks. He invites you to pick him up for a cuddle. 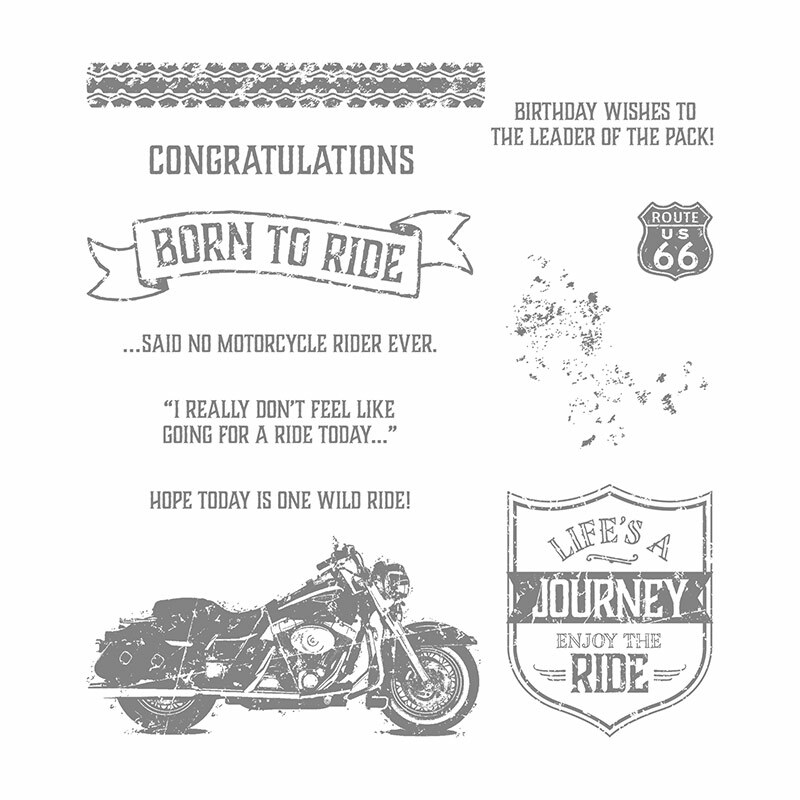 Super for baby cards, baby shower cards, and kid cards! We've been needing a good new masculine stamp set. Our guys are getting tired of receiving cards with The Open Sea or Guy Greetings! What guy hasn't imagined himself as "Easy Rider"? I'm excited about all the cards I'm going to create with this one! There are so many beautiful sets of Designer Series Paper in this catalogue that it takes my breath away. So hard to choose just one. But I love the watercolour look, the blended designs and the gorgeous colours in this lovely set! And it's versatile! 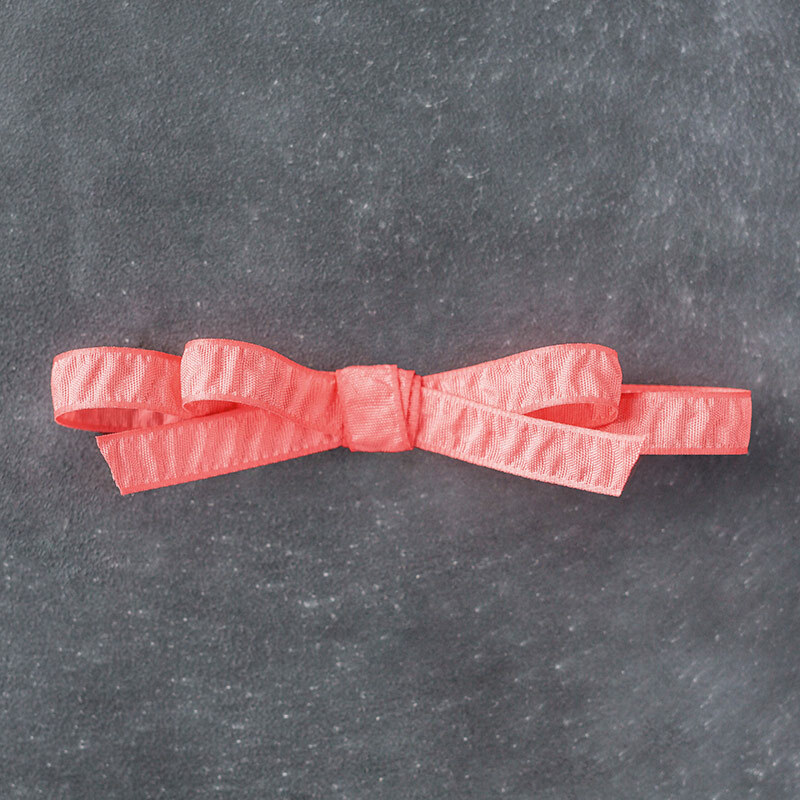 From the moment I touched this ribbon, I knew I would like it. It's the perfect width for bows, the ruched texture is really appealing and it's so crisp! It also comes in all the gorgeous new In Colours! I don't know why I thought I could do it all in 10 Picks! There's so much I've missed like Enamel Shapes in all colours, COPPER Stampin' Emboss Powder, the Badge Punch, the Seaside Embossing Folder, Swirly Scribbles Framelits, Touches of Texture Stamp Set... Help me, I can't stop! 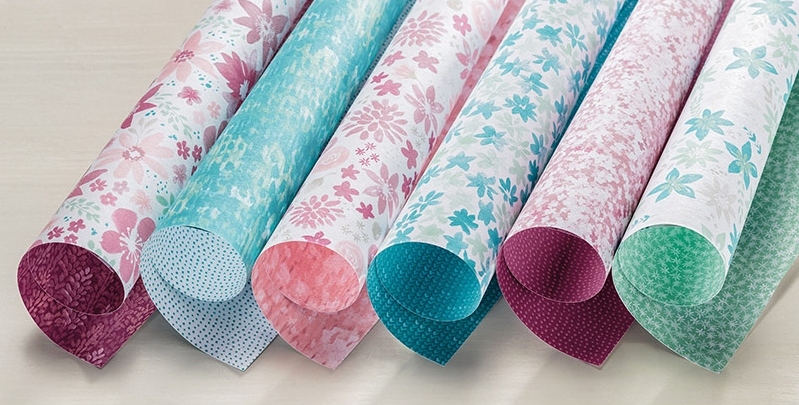 Have you been on the fence about Paper Pumpkin? Why not give it a test run for only $7? This offer is only open for 31 hours!! From Thursday, June 9th at 4 pm PDT to Friday, June 10 at 10:50 PDT. Go to My Paper Pumpkin and make sure you enter the Promo Code: ONEDAYDEAL! And please select me as your demonstrator if you don't already have one. 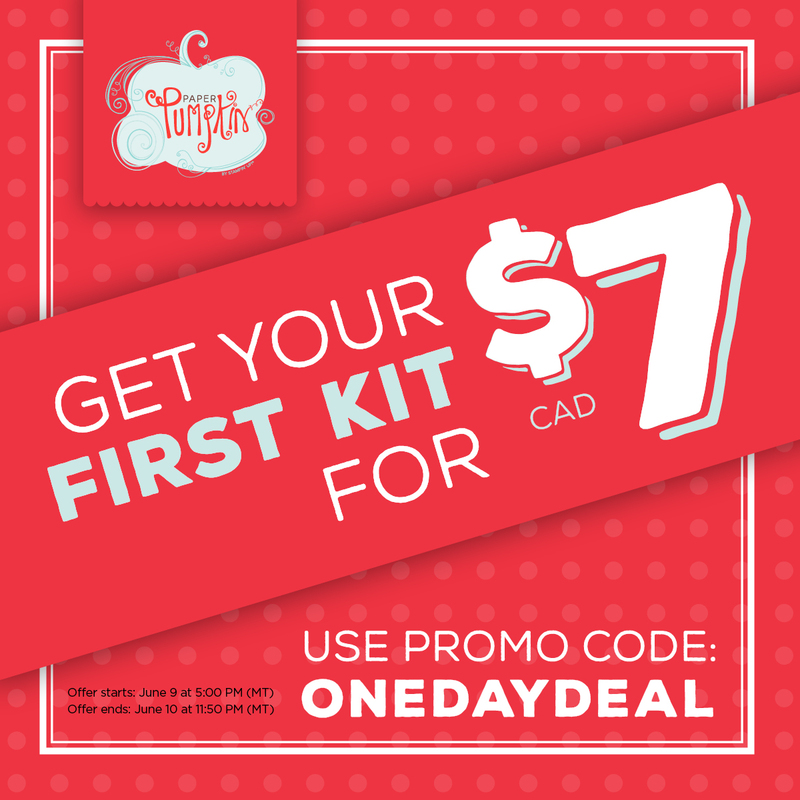 If you don't like it you can cancel after you get the first kit! It is honestly very easy to cancel. What have you got to lose? Give it a try. After this promotion, the subscription will be $26.95 a month which includes shipping. I hope that gives you some ideas for your orders from the new Annual Catalogue! Thanks for dropping by, and good luck with your shopping!